According to its organizers, the International Travel Trade Fair ITB is the leading event of its kind in the world. The numbers prove them right. Every year, some 180,000 visitors show up, 120,000 business visitors and 60,000 consumers and potential tourists who go there to plan their next vacation or widen their horizon. 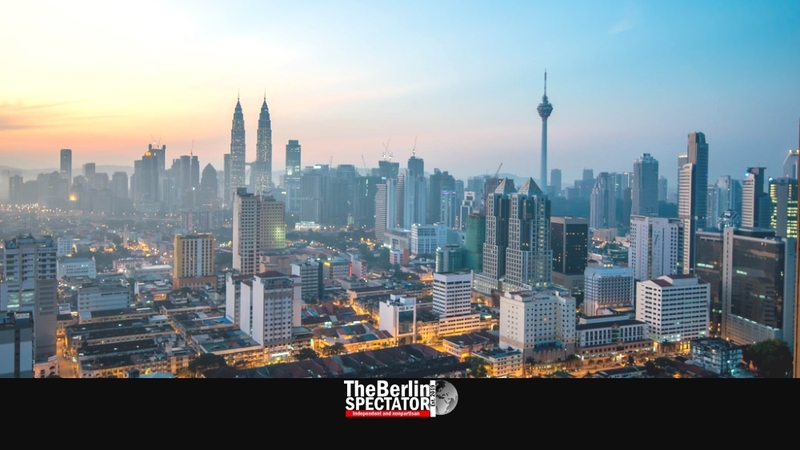 Around 10,000 exhibitors, among them tourism ministries from countless countries, tour operators, hotel chains and travel agencies, come to Berlin every year to show what they have. The fair does offer a lot and it is well organized, into geographic and other sections. With over 90 percent, the satisfaction rate among visitors is high. Every time, a country is being featured at the ITB. 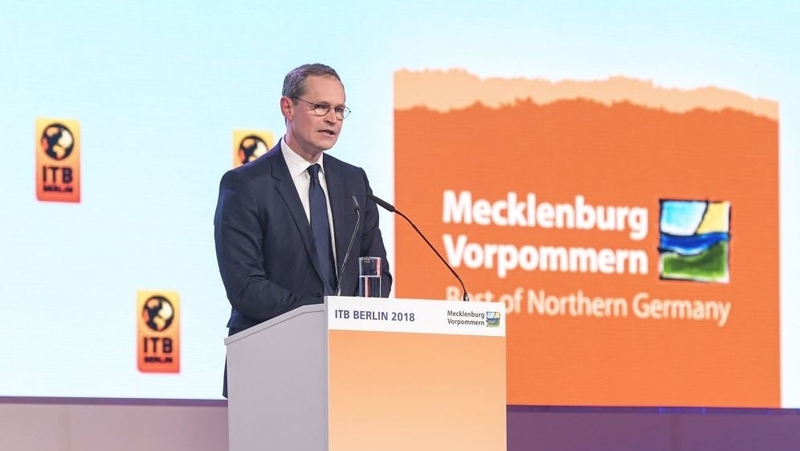 The 2018 edition was an exception since the Messe Berlin, the main trade fair company, put the German province of Mecklenburg-Western Pomerania into the center of the attention. This time, Malaysia is the ITB’s partner country. That country’s leadership just demonstrated blunt antisemitism a few days ago, when Prime Minister Mahathir Mohamad said Malaysia would deny visas to Israeli swimmers who wanted to take part in a paralympic qualifier event. In spite of that ugly aspect, Malaysia is a popular travel destination known for its rich culture and beauty. All of Asia is growing. This applies to the number of German and other European tourists who visit the continent, and to the number of tourists from Asia who visit Germany and other parts of Europe. It is not a coincidence that the ITB has not one but three offshoots in Asia, the ITB Asia Singapore, the ITB China Shanghai as well as the BITB in New Delhi. The fair in Berlin also has segments designed to appeal to tourists or tour operators looking for a specific kind of vacation. The latest addition in this regard is the Technology, Tours & Activities segment which, according to the organizers, is one of the fastest growing segments in the tourism industry. Here, exhibitors show travel apps, tour guides and other products of this kind. Yes, the future has obviously arrived. “Offering tourists a bus or city tour is not enough anymore”, David Ruetz, the travel trade fair’s chairman, says. “The online bookability of tours, attractions and activities on site is more important than ever.” That is why technology has its place at the ITB. On the one hand, the ITB might work with evil regimes while saying the event was not about politics but travel. On the other hand, the fair does demonstrate a modern approach towards minorities. For instance it has been including specific offers for tourists from the LGBT community since 2010. An ‘LGBT Travel Pavilion’ welcomes exhibitors and visitors. Lesbian and gay travel is a growing market segment. It includes what they call “honeymoon Tourism” and “Rainbow Family Cruises”. Tourism in general is exploding. Thanks to budget airlines like Wizz Air, Ryanair and EasyJet, the international city trip segment has quadrupled its size within the past ten years. It is even overtaking the ‘Sun & Beach’ segment. Europeans, North and South Americans and Asians take more and more trips to “attractive cities”, the ITB says, both in neighboring countries and overseas. In 2017, the most popular destinations for international city trips were the United States of America, Germany, France, Great Britain and Spain. There is more good news for the tourism business: A majority among city trip tourists is well educated and earns well, meaning they will spend more than your average budget beach tourist with his little plastic shovel and his ‘Bayern München’ sun hat. During the ITB itself, the ITB Convention will take place in early March. At the congress, decision takers from all parts of the tourism industry will discuss “key subjects which will change the structure of the global tourism business in a sustainable way.” The author of that sentence should be promoted. It all started in 1966, when a man by the name of Manfred Busche organized the first edition. Back then, a total of nine exhibitors from five countries participated. But soon, the whole thing would explode. Even communist regimes presented their cities and beaches to the world. In the 1980-s, it had already become the largest and most important travel trade fair, meaning it even overtook itself. Early on, the fair included trends such as low-impact and health tourism. Human Rights in holiday countries became a subject in the 1990-s, which seems to mean politics are important after all. So did eco-friendly tourism. From March 6th to 10th, 2019, the ITB will be taking place at Messe Berlin. Tickets for regular visitors are 12.00 Euro if purchased online or 15.00 Euro when bought on site. Tickets for students are 8.00 Euro and children under the age of 14 enter the fair for free. The ITB’s partner country for the 2020 edition of the travel trade fair was already announced a year ago. It will be Oman. More information about the ITB can be found on its website.